Merog Heart 메로그의 심장 Material Not used as a food, but often used for magic research. Obtained from Merogs. Merog Shaman Gem 메로그 주술사의 젬 A gem that can be found in a dungeon. It is able to enhance equipment by equipping it in a socket. Cannot be used with same effect simultaneously. Right-click to insert it to an equipment. 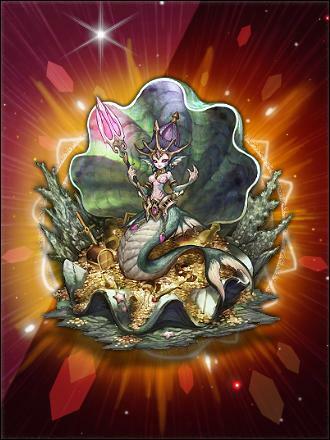 Merog Stinger Gem 메로그 독침술사의 젬 A gem that can be found in a dungeon. It is able to enhance equipment by equipping it in a socket. Cannot be used with same effect simultaneously. Right-click to insert it to an equipment. Merregina Bangle 머레지나 뱅글 Armor Goddess Jurate evicted demons living in the sea from her territory. As Merregina roams on the land, its purpose as material is becoming known. Message from Mesafasla 메사파슬라로부터의 서신 Quest A message from the Mesafasla army to the Stogas squad. Messenger Bag 전령의 가방 Quest A bag that seems to have belonged to a messenger. Contains a few reports and some food supplies. Messenger's Note 심부름꾼의 쪽지 Quest The messenger's note. He told you not to read it but... Should we? Metal Plate 금속판 Quest The metal plate that Justas is looking for. Metal Plate 금속판 Quest A metal plate sought after by Alwida. Metal Plate 금속판 Quest A metal plate that was laid below vines. It's in good condtion. Metal Plate 금속판 Quest A metal plate found with a Detection Rod. Meteor 메데오르 Armor It would cure you with a probability higher than getting hit by a meteor. Meteor Rod 미티어 로드 Weapon In reality, this has nothing to do with astronomy. However, this equipment should not be taken lightly. Miao Hair Ornament 묘족두식 Armor An elaborate ornament that is the identifying marker of the Wugushi. Its distinctive feature is the bullhorn design in the center. Midnight Blue Hair Dye 미드나이트 블루 염색약 Premium Rich and mysterious like the deep night sky. Right-click to use. Check the Character Settings tab for the registered color. Mien Boots 미엔 부츠 Armor There is a story that the first person who received these shoes was an unlucky disciple of Agailla Flurry. It is unsure if Jane died by the demons due to this reason. Migantis Bow 미간티스 보우 Weapon There is strong magic flowing through this bow, but no known way to awaken it; it is, for now, a dormant bow. Migantis Cannon 미간티스 캐논 SubWeapon There is strong magic flowing through this cannon, but no known way to awaken it; it is, for now, a dormant cannon. Migantis Crossbow 미간티스 크로스보우 Weapon There is strong magic flowing through this crossbow, but no known way to awaken it; it is, for now, a dormant crossbow. Migantis Dagger 미간티스 대거 SubWeapon There is a peculiar magic flowing through this dagger, but no known way to awaken it; it is, for now, a dormant dagger. Not used as a food, but often used for magic research. Goddess Jurate evicted demons living in the sea from her territory. As Merregina roams on the land, its purpose as material is becoming known. A message from the Mesafasla army to the Stogas squad. A bag that seems to have belonged to a messenger. Contains a few reports and some food supplies. The messenger's note. He told you not to read it but... Should we? The metal plate that Justas is looking for. A metal plate sought after by Alwida. A metal plate that was laid below vines. It's in good condtion. A metal plate found with a Detection Rod. It would cure you with a probability higher than getting hit by a meteor. In reality, this has nothing to do with astronomy. However, this equipment should not be taken lightly. An elaborate ornament that is the identifying marker of the Wugushi. Its distinctive feature is the bullhorn design in the center. Rich and mysterious like the deep night sky. Right-click to use. Check the Character Settings tab for the registered color. There is a story that the first person who received these shoes was an unlucky disciple of Agailla Flurry. It is unsure if Jane died by the demons due to this reason. There is strong magic flowing through this bow, but no known way to awaken it; it is, for now, a dormant bow. There is strong magic flowing through this cannon, but no known way to awaken it; it is, for now, a dormant cannon. There is strong magic flowing through this crossbow, but no known way to awaken it; it is, for now, a dormant crossbow. There is a peculiar magic flowing through this dagger, but no known way to awaken it; it is, for now, a dormant dagger.